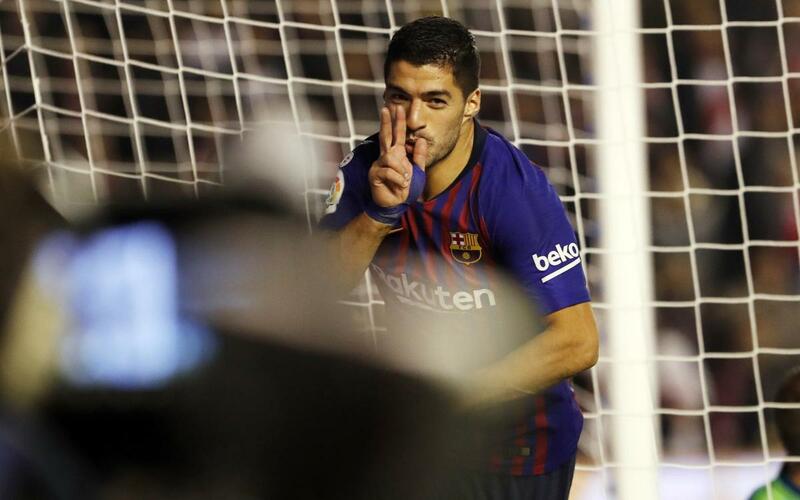 Double delight for Luis Suárez in Vallecas the Barça number 9 scored the winner for his side in the 90th minute of the encounter against Rayo Vallecano and in doing so moved to the top of the table in the race to become this season’s pichichi. The Uruguayan moves one ahead of his countryman and Girona striker Cristhian Stuani and Celta’s Iago Aspas. Suárez is in great form at the moment with six goals in his last three league games. He began the run with a goal against Sevilla, followed that up with his hat-trick against Real Madrid and then his two against Rayo which could also have been three had his shot not come back off the post just before half time. All in all, a decisive contribution from the striker and his form bodes well for Barça’s upcoming game in Milan against Inter in the Champions League on Tuesday.